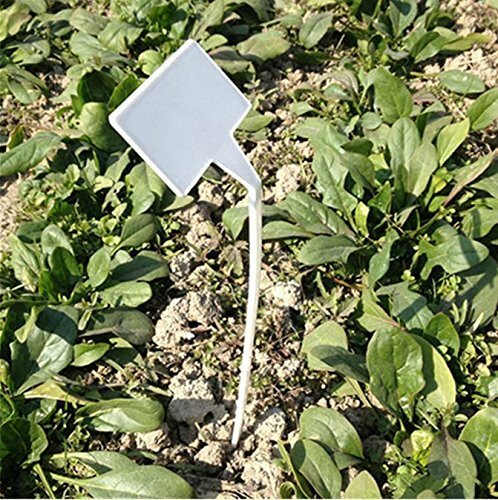 Waterproof Plastic Plant Nursery Garden Labels,Smooth edges and will not hurt hand. Package contains:50 Pcs plant tags,Fast Shipping from USA and sold by Kltech Store. Plant Tags Material:Durable plastic; Size: approx 30cmx9cmx4.7cm,Easily cleaned with household cleaner for reuse. Durable plastic plant labels or tags,These tags are unaffected by weather (bright sun, high heat) and are working great to label the multiple rows in your large vegetable garden.